Award-winning Tulemar Beach is a secluded stretch of sand at the base of the 33-acre Tulemar Gardens property. Named by guests as the reason to return again and again, Tulemar Beach is the perfect destination for relaxation and recreation. Whether you’re looking to lounge in the sand, take a dip in the Pacific Ocean, or try out a water sport, Tulemar Beach has it all. Umbrellas, loungers, and beach towels are provided by our beach attendants, and all guests have complimentary access to boogie boards and sea kayaks. Food and beverage service is also available right from your lounge chair with signing privileges so you don’t have to worry about carrying cash to the beach. There are multiple options for getting to Tulemar Beach from within the property. If you like the scenic route, the walk down to the beach takes approximately seven minutes. Our North and South hiking trails also lead to the beach if you’d like to get a little closer to nature. Our complimentary shuttle will also pick guests up anywhere on the property and provide transfers to the beach upon request. The shuttle is available daily and operates from 7:00 am to 10:00 pm. We are also proud to share that Tulemar Beach has been awarded the Blue Flag Award for twelve years running! This internationally recognized accreditation is awarded to beaches upholding exceptional standards in categories such as water quality, tourist safety, sanitation and more. Not only is Tulemar Beach beautiful, it’s also well cared for. 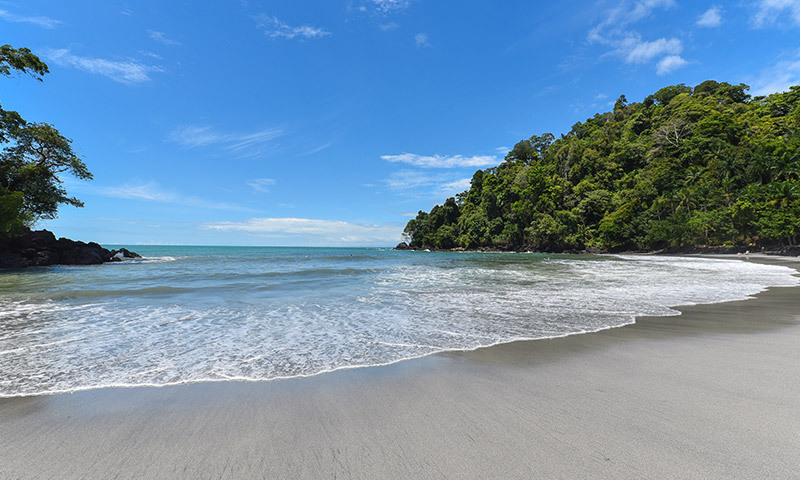 A beach day is a necessary part of any vacation—and we can’t wait to share our slice of Costa Rican paradise with you!